"A house with wheels?" "Exactamundo!" Screen Media Films has debuted the official US trailer for Michel Gondry's latest feature film, called Microbe & Gasoline, about two funky kids named Microbe & Gasoline. I wasn't a fan of Gondry's last film, Mood Indigo, but this is one is fantastic - he gets back to his roots, telling a very charming story of two quirky friends escaping on a road trip and what it means to have a real friend who is just as weird as you are. Starring Ange Dargent and Théophile Baquet, plus Audrey Tautou, the film is actually a must see if you're a fan of Michel Gondry's films or coming-of-age adventures. I'm glad I had the chance to see this and do recommend it to anyone who is curious to give it a watch. Enjoy. Microbe, a shy, aspiring artist, has trouble making friends at school until he meets Gasoline, a likeminded outcast. Together they hatch a plan to build a car and spend their summer on an epic road trip across France. This charming adventure from Michel Gondry has been called his "most satisfying movie since Eternal Sunshine of the Spotless Mind," reminding us how friendships can help us reach our true potential. 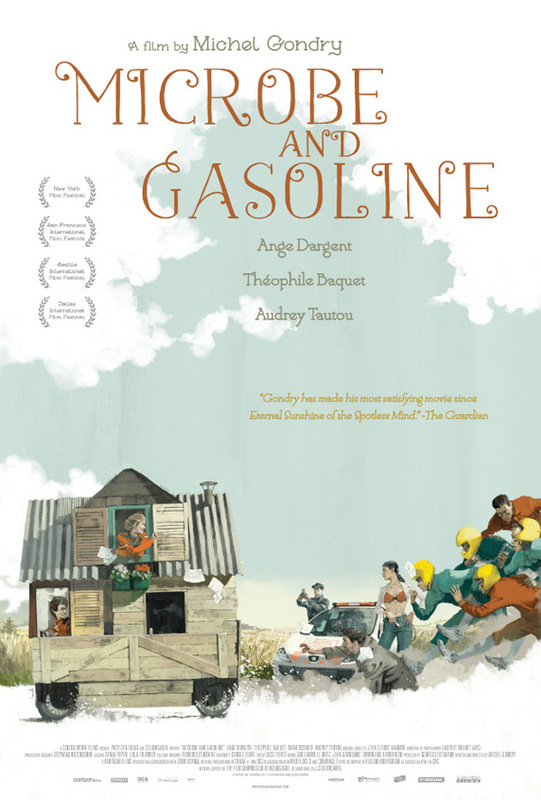 Microbe & Gasoline is the latest feature written and directed by French filmmaker Michel Gondry, of the films Eternal Sunshine of the Spotless Mind, The Science of Sleep, Be Kind Rewind, The Green Hornet and Mood Indigo previously. Screen Media will open Microbe & Gasoline in theaters starting July 1st this year. Those kids, What else can they do but not to be well adjusted to society, right? He says "Exactamente" I think. It's in Spanish. I think the movie would have worked better if the two friends were 10 - 12 year old. Sure is, but colloquial translation is not 1:1.